This study focuses on the manufacturing and applications of carbon nanotubes (CNTs) to identify recent progress in understanding the commercial potential of CNTs as viewed by academic, industrial, and government research facilities around the world. 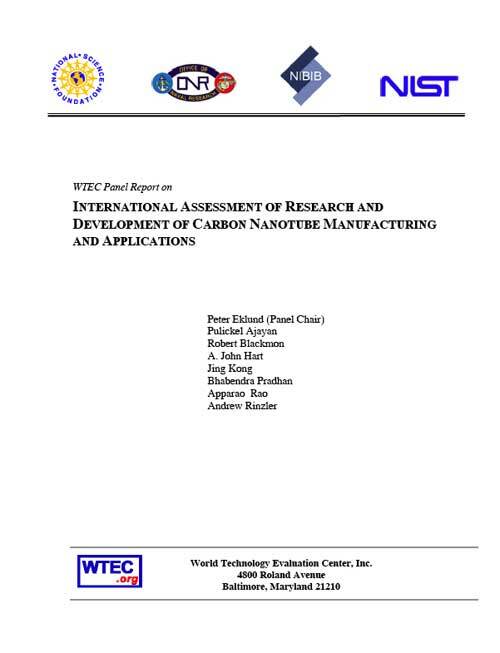 CNT manufacturing methods and equipment, processing and separation techniques, characterization procedures, and opportunities for international collaboration are highlighted in this study. These issues are also discussed in the context of leading electronic, optical, and mechanical applications of CNTs ranging from transistors to structural composites.